There’s nothing like summer love. The days are long and warm (okay they’re hot) and it’s the perfect season to get out and enjoy the city with your partner. From arts to adventure, Columbus offers more than a few ways to impress your sweetheart. Outdoor Theater in Schiller Park- Grab a blanket and a bottle of wine and head over to Schiller Park in historic German Village. Actor’s Theatre puts on a variety of shows each summer and you can attend for free. This year’s theme, “Monsters & Men” includes performances of Macbeth, Frankenstein, Puss in Boots, and A Midsummernight’s Dream. Columbus Zoo and Aquarium- The zoo is one of my favorite places to aimlessly stroll. Summer is the perfect time of year to go because the baby animals of the spring can be spotted frolicking and generally being adorable. If you want to skip the drive, you and your date can enjoy some killer conversation while the COTA bus delivers you to the zoo. Not only will you escape the parking fee, you’ll also receive discounted admission to the zoo. Outdoor Movies- A lot of these summer date suggestions involve a blanket, so you might as well invest in one now. 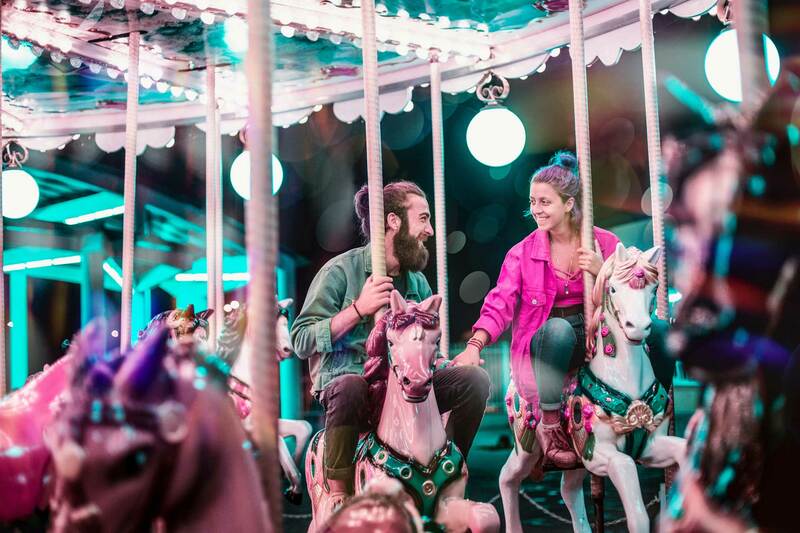 Treat your sweets to a night with the stars at one of the many outdoor summer movie events around town, from 90s throwback PG classics to films perfect for those mythical “grown-ups”. Summer Concerts- I’m about to lay a little dating wisdom on you folks. What’s more romantic that holding hands, swaying back to a little rock n’ roll? Spontaneously asking your date for a dance at a dope concert. Okay, it may not work on everyone, but I know I’d love it. Music is happening constantly in this city. You can catch local acts at festivals nearly every weekend, or class it up with the Columbus Symphony at the Columbus Commons. Your call. Clippers Game- Take me out to the ballgame, y’all. Most Columbusites are more than happy to ring their bell for the Clippers, especially on Dime a Dog night. Huntington Park runs all sorts of specials throughout the summer including celebrity visitors. Stars, they’re just like us! Spend a day at the beach- Have you been dying to show off that Dad bod you’ve been cultivating all year? Spend the day in a local swimming hole. Alum Creek Beach is a great place to spend the day relaxing in the sun. Fair warning: You can play “sand” volleyball here, but I put sand in quotations because it’s more like very small rocks. Columbus Crew SC Game- Nothing quite says “I Love You” like screaming at the top of your lungs in the Nordecke. Not only can you support our local MLS team (#savethecrew) you can also overpay for beer! In all seriousness, Crew games are super fun and you’ll have a marvelous time. Columbus Museum of Art- CMA is the perfect rainy-day date. And since we live in Ohio, we know there will be rain. Admission to the museum is super affordable, but if you’ve eaten ramen more than 3 days this week and you’re looking for a little free fun, you can always visit for no cost on Sundays. Ohio State Fair- The sky lift. Reba McEntire. Smokey the Bear. The butter sculptures. I know I didn’t have you on board until you saw “butter sculptures” but now you’re totally vibing it, right? Get some funnel cake, win some prizes for your man (or woman) and definitely do some people watching. Canoeing at Trapper John’s- “Just a person and a person in a little canoe, with the moon shining all around…” That may not be the way you remember the song, but love is love, amiright? 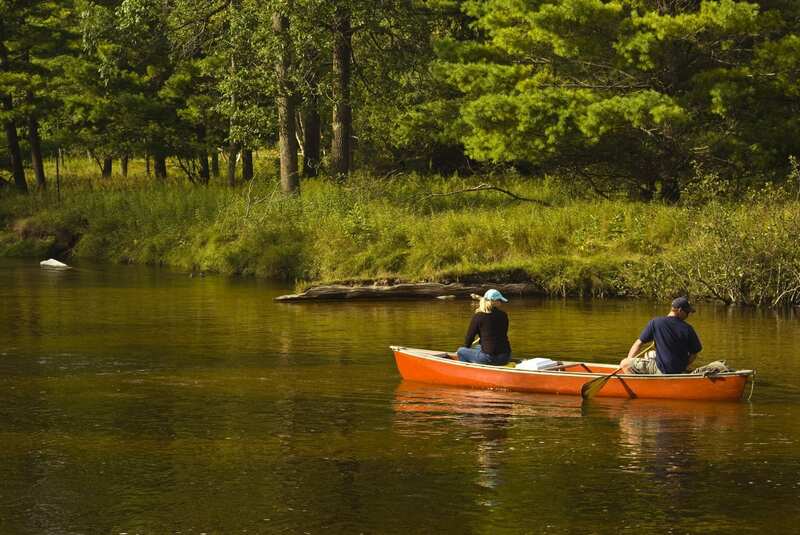 Canoeing isn’t just romantic, it’s real life team building. Synchronize those paddles all the way to a happy relationship on one of the many canoe tours offered at Trapper John’s. Zoombezi Bay- What’s that I hear? I think it’s the gentle call of Croctail Creek, the 21+ lazy river at Zoombezi Bay. Grab a drink with an umbrella, hope in an intertube, and float your day away. Take to the roof- The rooftop movement is in full swing here in Columbus. From Juniper to BrewDog and basically everywhere in between, you can view the city from a rooftop with a cold drink in your hand all day, every day. U-Pick farm date- Break out those cowboy boots and dust off that Stetson: it’s time for a farm date. Just kidding… you can wear whatever you want (within reason) to pick your own goodies. Depending on the time of the year, you can pick all sorts of wonderful things here in central Ohio. Berries, apples, lavender, oh my! 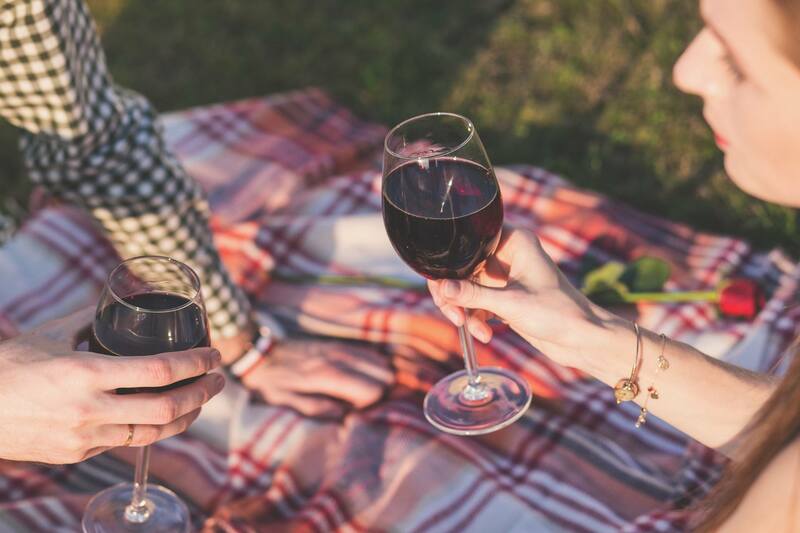 Picnic at metro park- There are three key items in order to achieve the perfect picnic: Good wine, great cheese, and the perfect person to picnic with. You wouldn’t be working so hard to plan this killer date if you didn’t have the perfect person, so now you just have to find the right wine/cheese combo. Volunteer together- Give back to your community and spend time with your special someone all at once while volunteering. Columbus is such an amazing place to live because of the people here. It’s rewarding AF to take a moment to do something for others. Drive-In theatre- Cruise on down S High St. to my favorite drive-in theater! I spent many a summer night in my youth at South Drive-In, eating popcorn and getting eaten by mosquitoes. But with a little bug spray, you and your love can spend the evening snuggled up at a double feature. Cool off with an Ice Cream cone- Okay, it doesn’t have to be a cone. It’s your life, live your truth! Columbus is what I affectionately call the ice cream capital of the world. You can hit up a different ice cream shop every day of the week and get everything from international frozen treats to traditional soft serve. An ice cream paradise, if you will. You get bonus romance points if you share a few scoops. Take a road trip- There are so many cool things to see all around this state that it would be a shame if your summer didn’t involve a road trip! You can see some castles. You can cool off near a waterfall. If you’re feeling extra romantic, you can plan a whole trip around your lovey-dovey vibe. Just don’t forget to make the perfect road trip playlist. Stargazing- Columbus may not be the perfect place to gaze into the cosmos, but luckily, a super amazing facility just opened up in the Hocking Hills. The John Glenn Astronomy Park opens on June 22 and offers all kinds of stargazing opportunities. The park is open 24/7, perfect for you night owls out there. Hit up the farmers market and then cook a romantic meal- This idea may be straight out of a rom-com, but it’s so perfect. Pick a farmers’ market in your area, shop for some locally sourced ingredients, and then cook a romantic lunch or dinner together. It’s classic, it’s simple, it’s perfect. If the cooking doesn’t go according to plan, you can always pick something else on this list. Life is about the journey, right? Have fun you little bugs, or should I say “love pugs”.